How can Eco Tourism Protect Jaguars from Extinction? As Big Cats go, the jaguar tops the list. Seeing jaguars in the wild is becoming a rarity but if you are lucky enough to catch a glimpse of one, it is an incredible experience – on a par with seeing your first tiger. These rare and wonderful creatures are massive, majestic and mysterious. The best place to see a jaguar is in The Pantanal in Brazil. To increase your chances of seeing a wild jaguar, it’s recommended to join a safari that spends quality time observing habituated jaguars in Mato Grosso do Sul. 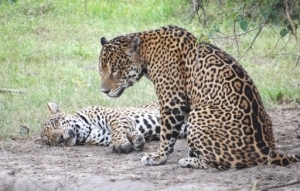 For an even better chance of seeing your first wild jaguar, why not take part in a trip hosted by the pioneering conservation biologists who are running the Pantanal’s jaguar conservation programme – the first ever Jaguar and Maned Wolf Conservation Safari, on 22nd July – 5th August 2015 spends a week with the habituated jaguars, learning about the animal and efforts to protect it. In Brazil, the jaguar is listed by IBAMA (The Brazilian Institute of Environment and Renewable Natural Resources) as threatened with extinction. The conversion of habitat into farmland is the principal cause of the 50% reduction in the jaguar’s original range. The jaguar is already extinct in two (Uruguay and El Salvador) of the 21 countries where it historically occurred. The jaguar is legally protected in the majority of countries where it is found. 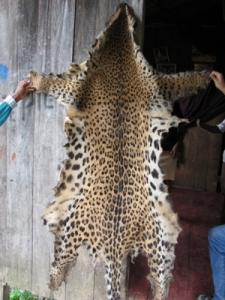 Only in Bolivia is hunting still permitted, and the jaguar does not have any legal protection in Ecuador and Guyana. The Amazon is the major refuge for the jaguar. In all other habitats, the fragmentation of habitat has isolated jaguar populations and is the major threat to the species. The restoration and maintenance of corridors between isolated populations is the principal strategy in conserving the jaguar. The jaguar is the largest cat in the American continents. A jaguar’s weight ranges between 77 to 285 pounds. Generally, the males are heavier than the females. The jaguar’s body is stocky, compact and muscular. The length of the body varies from 5.5 to 7.9 feet with the tail being 20 to 26 inches of the jaguar’s length. Jaguars that live in forested areas tend to be smaller than jaguars that live in open areas such as the Pantanal in Brazil or the Llanos (tropical grassland plain) in Venezuela. 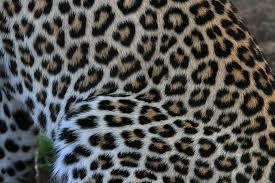 A jaguar’s fur varies from yellow to black and is characterized by black spots that form rosettes of different sizes. The rosettes are like fingerprints of the animal that identify each animal. Each individual jaguar has a unique rosettes pattern on its fur. Because of this, it is possible to use camera traps to take photographs of jaguars in the wild and to estimate the size of the jaguar population in an area. Most jaguars are yellow with black spots, but black jaguars also exist. Black jaguars also have black spots that form rosettes. The jaguar, along with the snow leopard, tiger, lion, and leopard, make up the five big cats that belong to the Panthera genus. The jaguar, tiger, lion and leopard have an incomplete ossification of the hyoid bone, located in the throat region, that enables these four cat species to roar. 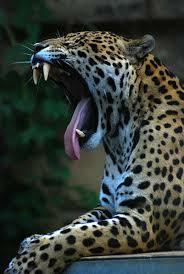 Roaring is a method of communication between individual jaguars mainly during the mating season. Members of the smaller species of cats can only meow as a form of communication. Jaguars concentrate their activities around dawn and dusk, however, behaviour varies by geographic region. In dense jungle habitats, the jaguar may be active during the day. They are a territorial animal, and use scrape marks on trees, urine, and faeces to mark territory. They are a solitary animal that only interacts with other individuals of the species to court and mate. 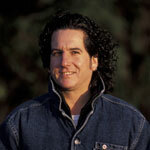 Females reach sexual maturity at approximately two years. Males reach sexual maturity at approximately three years, and are attracted by the scent marks and vocalization of the females. At the top of the food chain, the jaguar is exclusively a carnivore. Studies of its diet have registered over 85 species of natural prey. They are opportunistic hunters, feeding on the most abundant species in its ecosystem. In some regions of Brazil, jaguars feed mainly on large mammals such as peccaries, capybara, and tapirs. In other regions, they mainly feeds on reptiles such as turtles and caiman. In areas where the jaguar lives next to ranches, cattle can be a main part of their diet. The size of each jaguar’s territory varies by where it is located. The smallest territories occur in the forests of Belize with a territory of about 5 square miles . Male jaguars have larger territories than the females. A male jaguar’s territory can encompass the territories of several females. The jaguar occurs in density of approximately 1 to 7 adult individuals per 39 square miles. 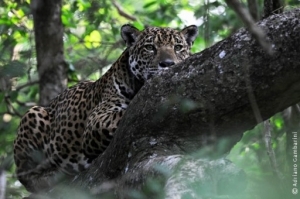 For a long time the Pantanal and the Amazon have been home to the largest remaining population of Jaguars in the wild. Over the last 100 years there has however been a large reduction in the area inhabited by Jaguars. but today the biggest losses arise from conflict with farmers in retaliation for livestock loss. The loss of habitat associated with agricultural expansion also poses a risk to maintaining viable populations in the long term. So, what role can eco tourism play in protecting the jaguar? The International Eco tourism Society (TIES) defines eco tourism as “responsible travel to natural areas that conserves the environment and improves the well-being of local people.” Today eco tourism is used as an important tool in places that seek to reconcile conservation of biological and cultural diversity and economic and social development; through partnerships between people and nature. Many countries now derive a substantial portion of their foreign revenue through eco tourism. The Jaguar In The Pantanal? 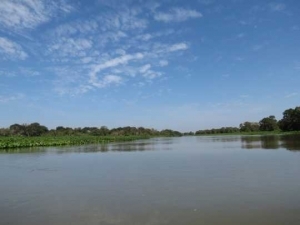 The Pantanal is the largest wetland in the world located between two states in Brazil, Mato Grosso do Sul (South Mato Grosso) and Mato Grosso (North Mato Grosso), extending into northern Paraguay and eastern Bolivia (The Bolivian Chaco). The Pantanal is considered a Biosphere Reserve and World Natural Heritage Site by UNESCO. Cattle were introduced to the native grasslands by early settlers in the region. It is thanks to these native grasslands that were suitable for raising cattle that the Pantanal has been so well preserved as only a small portion of the original grassland was replaced by exotic grasses. With more than 95% of the Brazilian Pantanal being privately owned, ecotourism has huge conservation potential, as it could serve as a significant source of additional revenue for landowners and the local communities. One hugely impressive conservation initiative is that of the Onçafari Jaguar Project. This is a ground-breaking conservation initiative promoting eco tourism in the Brazilian Pantanal. This is done by ‘habituating’ Jaguars in order for people to witness the fascinating behaviour of these magnificent animals, from the safety of a vehicle, while on safari. So, do you want to meet the jaguars? Participate in conservation safaris that are joint ventures and financially support wildlife charities with programmes directly to protect endangered species. This opportunity will provide you with an exclusive wildlife experience and a unique insight into conservation efforts out in the field. Help safeguard the long term survival of endangered animals and meet the individuals who are fighting extinction on the front-line. Niche travel events company Spencer Scott Travel are pioneers of the joint-venture conservation safari, hosting incredible wildlife trips for over 10 years. Join us on this first ever Jaguar and Maned Wolf trip, hosted by Prof Claudio Sillero and spend a whole week with the habituated jaguars of the Onçafari Project. Also spend 3 days with Rogério Cunha de Paula, a biologist who coordinates the project “Management of the maned wolf (Chrysocyon brachyurus)” in the National Park of Serra da Canastra. This will be the most enlightening, exciting and extraordinary encounters with jaguars ever.